Sir Philip Green has been named in Parliament as the businessman who fought for an injunction over allegations of "sexual harassment and racial abuse". Lord Peter Hain used his Parliamentary privilege to name the Arcadia group chairman, saying he felt a “duty” to name him. This came after Court of Appeal judges temporarily barred the Telegraph from publishing "confidential information" from five employees about a figure the newspaper described as a "leading businessman". The paper wants to reveal what it calls "alleged sexual harassment and racial abuse of staff", who have been prevented from discussing their claims by non-disclosure agreements (NDAs). After his statement was made in the chamber and broadcast on parliamentlive.tv, Lord Hain confirmed that his statement referred to the Topshop boss. In August, High Court judge Mr Justice Haddon-Cave refused to gag the newspaper but the executive and managers at the two companies mounted a challenge. On Tuesday the decision was overruled by three Court of Appeal judges. In all five cases complaints had been "compromised by settlement agreements" under which "substantial payments" were made to the employees who had complained, they wrote. Judges said the claimants felt that information "had been disclosed to the newspaper by one or more of the complainants, or by other employees who were aware of the information and of the non-disclosure agreements". They said there was a "real prospect" that publication would cause substantial and possible irreversible harm to the claimants. The judges granted "an interim injunction preserving the confidentiality of the information pending a full trial". 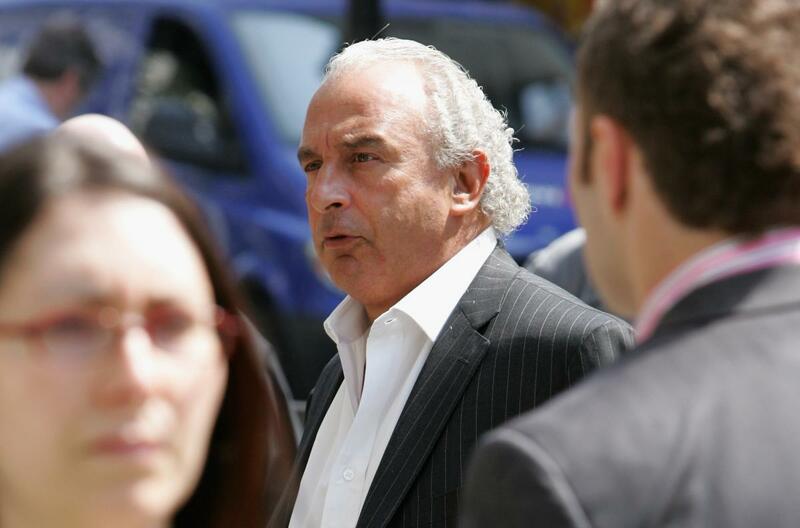 In a statement after he was named in Parliament as the businessman behind an injunction against the Daily Telegraph, Sir Philip Green said: "I am not commenting on anything that has happened in court or was said in Parliament today. "In some cases these are settled with the agreement of all parties and their legal advisers. These settlements are confidential so I cannot comment further on them."